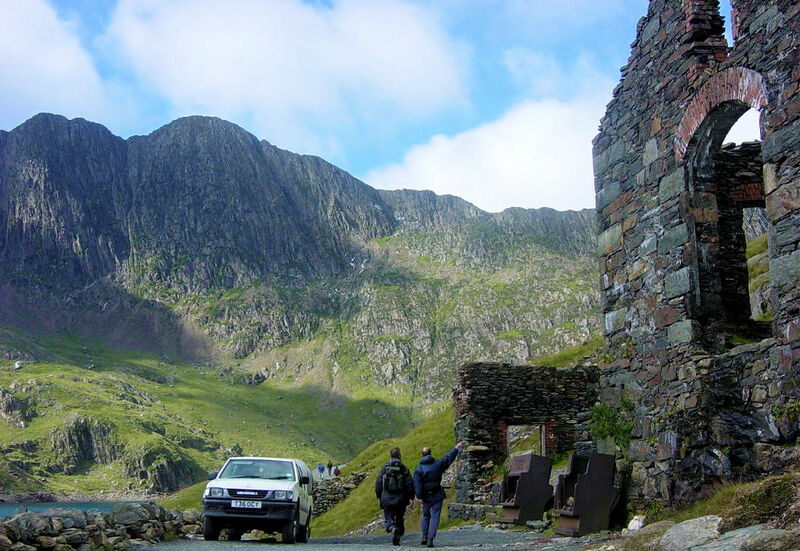 The Walk: This walk to Snowdon, the county top of Caernarvonshire and highest point in Wales begins with a gentle warm up from the start at Pen y Pass along the Miner's Path for the first two miles to Glaslyn Reservoir. After passing Glaslyn the walks steepens as the Miner's Path and Pyg Track merge to share the challenging climb to Bwlch Glas. From here the ascent eases and follows the railway track to the summit of Snowdon. After the thrill of reaching the top follow the ridge line as it descends gently to Bwlch Ciliau before climbing the short distance to West Peak of Y Lliwedd. From here the walk continues on a good descent to Cmn Dwli where the Miner's Track is rejoined to walk back to Pen y Pass. The Walk I Would Do: I would do the walk described above or a slight variation by following the Pyg Track to Bwlch Glas. If conditions were good I would even consider taking the narrow ridge of Crib Goch to Snowdon. See Crib Goch, Garnedd Ugain and Mount Snowdon for details.